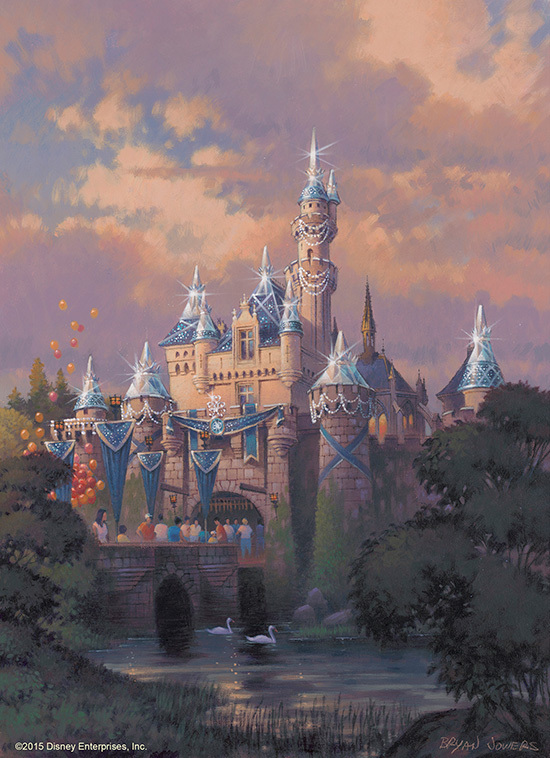 Disneyland 60th Anniversary Begins May 22nd! It was announced via Twitter tonight that the huge diamond celebration for Disneyland – the first of all Disney theme parks – will begin on May 22nd! From the media unveiling tonight, they seem to be pulling out all of the stops. A new World of Color show, a new parade, and even a new fireworks display are only the beginning of the magic for this grand 60th birthday party. On top of that, both Sleeping Beauty Castle in Disneyland and Carthay Circle Theater in Disney California Adventure are getting diamond facelifts. In the future we can look forward to updates for special merchandise and I’m sure a special event especially for July 17th – the actual 60th birthday! It will surely be jam-packed that day! World of Color – Celebrate! The Wonderful World of Walt Disney – According to the Disney Parks Blog this show will be completely new and will integrate both animated and live action footage along with the usual World of Color magic to explore the imagination of Walt Disney and the creation of Disneyland. They posted, “Mickey Mouse will take guests on a fun-filled and inspirational journey through the unparalleled imagination of Walt Disney, exploring his decades-long legacy of memorable animated moments and the dream of Disneyland park.” The Disneyland website reports that World of Color is down for upgrades until March 12th. Will the new show be installed then? Beautiful float for the Paint the Night parade! 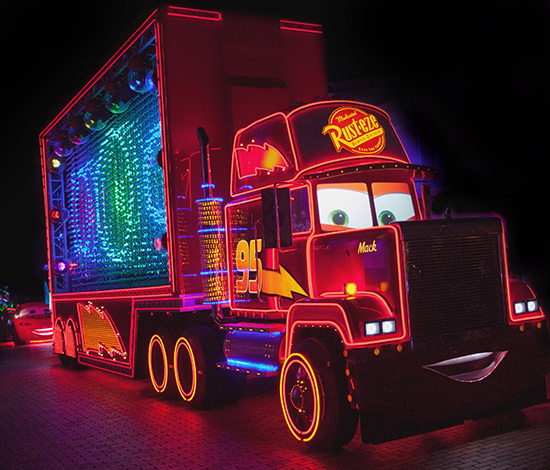 Paint the Night Parade – Disneyland will be the first American theme park to host the Paint the Night parade. Modeled on the ever-popular Main Street Electrical Parade, this innovative use of light technology will utilize over 1.5 million LED lights! Hong Kong Disneyland currently hosts its own version of this parade and it remains to be seen how much of the Disneyland parade will be completely new and how much will be modeled after it’s HK counterpart. Disneyland Forever – The new nighttime fireworks spectacular will be called “Disneyland Forever” and feature some of the projection technology we’ve seen at the It’s A Small World attraction for the holidays. The show will also feature two new songs just for this show, “Live the Magic” and “Kiss Goodnight.” The Disney Parks Blog reports that “Kiss Goodnight” – the song for the finale was written by Disney Legend, Richard Sherman. I don’t know about you, but it seems this year is going to be VERY exciting!